Whether you have visited the Yucatan Peninsula in México or just dream about it we want to highlight the culture, traditions, history and beauty of this unique region of the world. There is no place quite like it on earth. The mysterious land we walk on, ancient culture that is woven into everyday traditions here and the struggle of the area’s people through the centuries make this an exciting place to be- for lifelong residents and new arrivals alike. 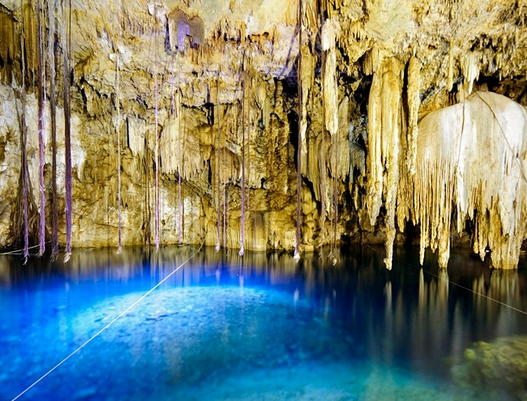 Exploring the facets of Yucatecan geography, anthropology and history will reveal one surprise after another. The experience begins the moment you step foot on the rocky terrain. The land itself is amazingly unique in that you are hard pressed to find any lakes or above ground rivers. 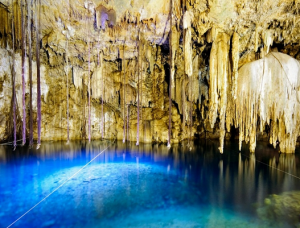 Water moves through the region in a system of underground rivers visible to visitors in the form of cenotes, or sink holes that dot the countryside. The region was formed over 65 million years ago when it “lifted” from the sea below. Many geologists believe that this was caused by the impact of a large meteor that landed in the Caribbean basin. If you have heard the theory about the extinction of dinosaurs being caused by a meteor crashing into earth you have heard about the same incident that formed this region. The mystery and allure of the Yucatan is not just associated with how it was formed so many years ago but also with the people who lived here. 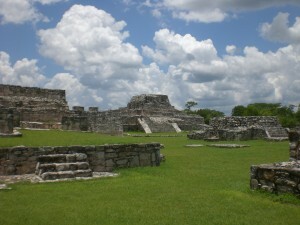 One of the most celebrated and studied civilizations in the Americas thrived here for thousands of years- the Mayans. Between 2000 BC to 250 AD this civilization lived in a region that covered modern-day Belize, Guatemala, El Salvador, Honduras and southeastern Mexico. They developed an extensive system of trade routes through the region that connected beautifully constructed cities- each with a specialized purpose based on location and natural resources nearby. The Mayans were passionate about numbers and science- especially astronomy. Their calendar, set to “expire” in 2012, has been the theme for many author’s doomsday fodder around the globe. Many who are not familiar with the history of the Mayans are surprised to find out that their civilization never truly “disappeared.” Instead it was incorporated into a culture when the Europeans arrived to the region in the 1500s. Today you can still find pueblos where Mayan is the only spoken language. Thousands of visitors travel each year just to see many archeological sites that highlight ancient Mayan engineering techniques like Uxmal and Chichen Itza. Mayan heritage has been woven into just about every tradition here- from the food you eat to the religious festivals of the Catholic Church. It is all still here for visitors to explore. Geographic isolation on a piece of land that divides the Gulf of Mexico and the Caribbean Sea makes this area a unique part of Mexico that even Mexicans from other states find exotic. From the arrival of the Spanish in the 1500s to the Caste Wars to the Henequen (or sisal) Boom this area has an amazing story waiting behind its exotic façade. The land in the Yucatan is rocky and the temperatures are hot and humid- a perfect place to grow henequen. During parts the 1800s the city of Merida was the wealthiest city in the world thanks to the mass production of this plant. Timing was right for production too. Global trade and travel was growing and the henequen plant’s fibers were perfect to make the ropes needed to move ships across the waters of the world’s economy. Huge haciendas (a type of plantation) were built that made a select few families very wealthy. Today you can visit these haciendas in various states of decay or splendor and get a feel for the opulence of the past and the price poor, mostly Maya workers paid in physical labor to support that wealth. 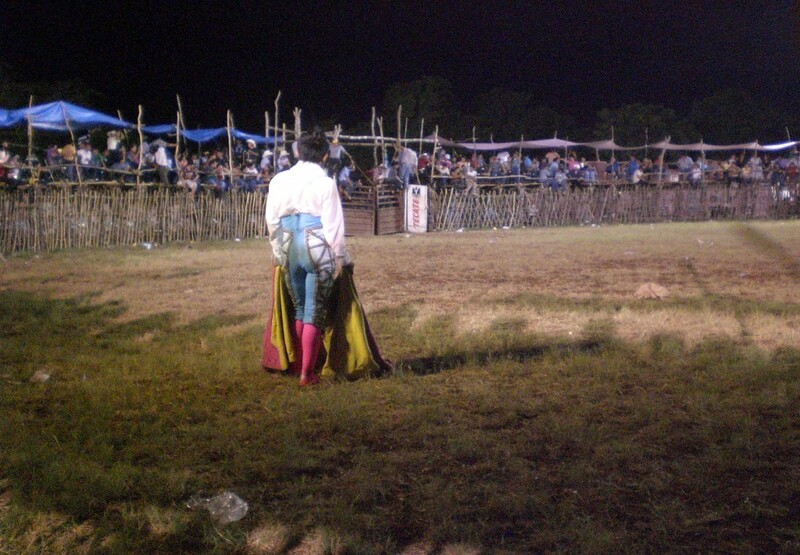 This is just a small taste of what makes this beautiful region of Mexico so different and exotic. We hope that you get the opportunity to feel the “magic” of the region for yourself. If you do you will likely have some questions about what you experience. Maybe you want to prepare ahead of time so you know what to expect and what to “look out for” during your stay. It is for both of these reasons that we have developed a series called “Everything Yucatan” for you to enjoy. You might simply stop by to read up on a specific topic or spend a few hours learning about the region. No matter how you choose to use the information we provide please let us know your opinions, feedback or personal experiences related to the topics in this series. We are not always perfect and might need your help to make this the best resource possible. The land in the Yucatan is rocky and the temperatures are hot and humid- a perfect place to grow henequen. During parts the 1800s the city of Merida was the wealthiest city in the world thanks to the mass production of this plant. Timing was right for production too.